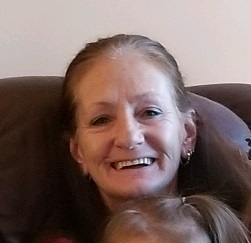 Judy Neland, 58, of Shawnee, KS passed away October 20, 2018 in her home. A memorial service will be held at Park Lawn, 8251 Hillcrest Rd., Kansas City, MO at 2pm on Monday, October 29, 2018. Judy was born on December 1, 1959 in Kansas City, MO, the youngest of her family. She lived an unpredictable and spontaneous life filled with adventures that only she could have orchestrated. She had the heart of a gypsy and loved the freedom of the wind. Judy had many passions in life, one being the ocean. She could not bound my many limitations much like the water. Judy leaves behind her children; Mike Canzonere and wife Kimberly Canzonere, Jillian Flaugher and husband Billie Flaugher, Father- George Neland, Step Father- Brent Cochran, a brother and a sister Richard and Ronda. Judy also has five grandchildren whom she adored; Sawyer, Sophie, Penelope, Paisley and Brayden. In addition, she had many friends whom she considered a part of her family (you know who you are). You were the first friend I made when I moved to Shawnee and we became the best of friends. I will miss you, your laugh and the wonderful times we had together. Be free my friend and soar with the Angels. I know you and your mom are together and having a great time once again. Miss You My Friend Thanks for being there when I was in the hospital Hugs Wes .